The ES&H Wildcats fell behind the 8-ball in its first game of the Southeast Regional tournament and was never able to recover. The Destrehan High School-based team saw opponent De La Salle score nine runs over the second and third innings to take full control and advance in the winner’s bracket with an 11-1 victory Saturday. 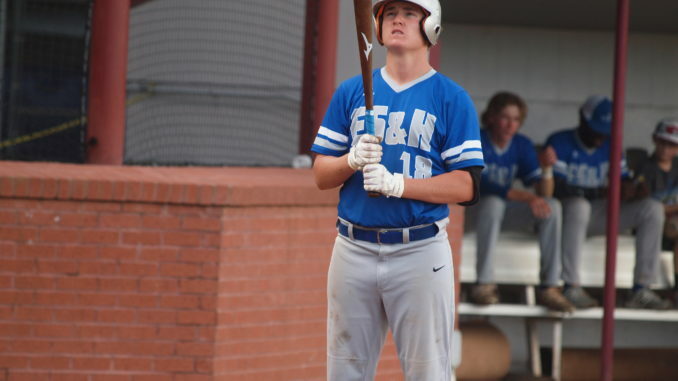 A day later, the Wildcats saw their American Legion season come to a close with their second loss of the double-elimination regional, a 5-3 decision to Shaw. De La Salle held ES&H to two hits in the first game. Avery Schexnaydre and Clay Hurm earned those, while TreQuan Gabriel took the loss on the mound. In the second game, Shaw took a 5-1 lead into the seventh inning. The Wildcats posted two runs in their final opportunity to tie, first with Jake Caillouet scoring on a wild pitch and then on Bryce Rochelle’s RBI double, but the team could pull no closer. Ethan West, Dustin Joliff and Schexnaydre each doubled in the game for ES&H. Josh MacCord took the loss on the mound. The Wildcats finished Legion play with a record of 6-7. 2017 represented a Destrehan team’s first run to the Southeast Regional in the three seasons since returning to American Legion competition. He said as the DHS program shifts focus to preparing for next prep season, there is still plenty that has to be settled for a team undergoing a lot of starting lineup turnover. There were bright spots as well, Mire noting strong performances in particular by Joliff and Rochelle. Mire expects next year’s team to again be centered around its pitching as a strength, meaning solidifying the team’s defense will be its top priority.